These are cute giraffe cupcakes I made for a girl’s birthday party a few months ago. Her mom said she loves giraffes so I made these giraffes using a Sculpey clay mould and egg yellow sugar paste. 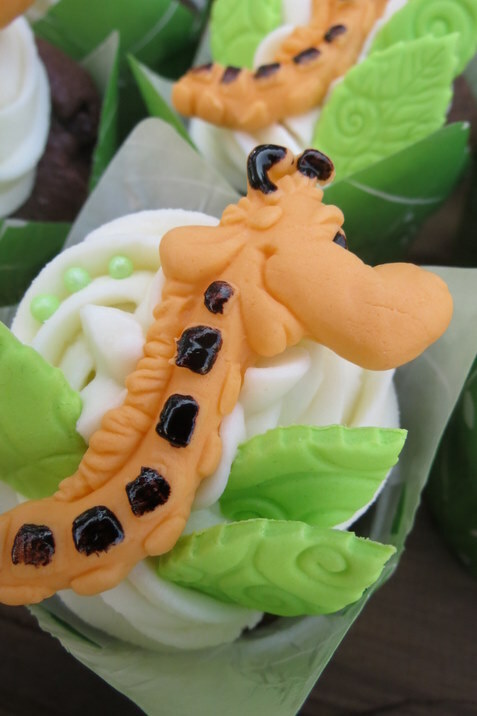 I painted their spots and eyes with black food colouring and then added them to the top of the cupcakes along with green embossed leaves as detail on the cupcakes. I remembered while watching the funny giraffe in Zookeeper last night that I hadn’t blogged them yet and they are just too cute not to blog. ← Hats Off to these Cupcakes!